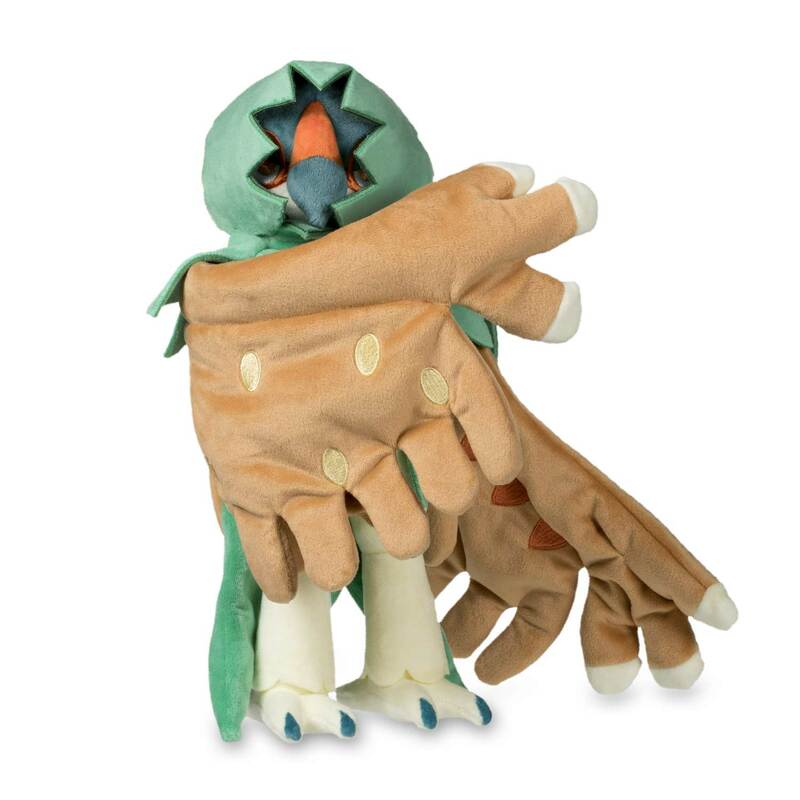 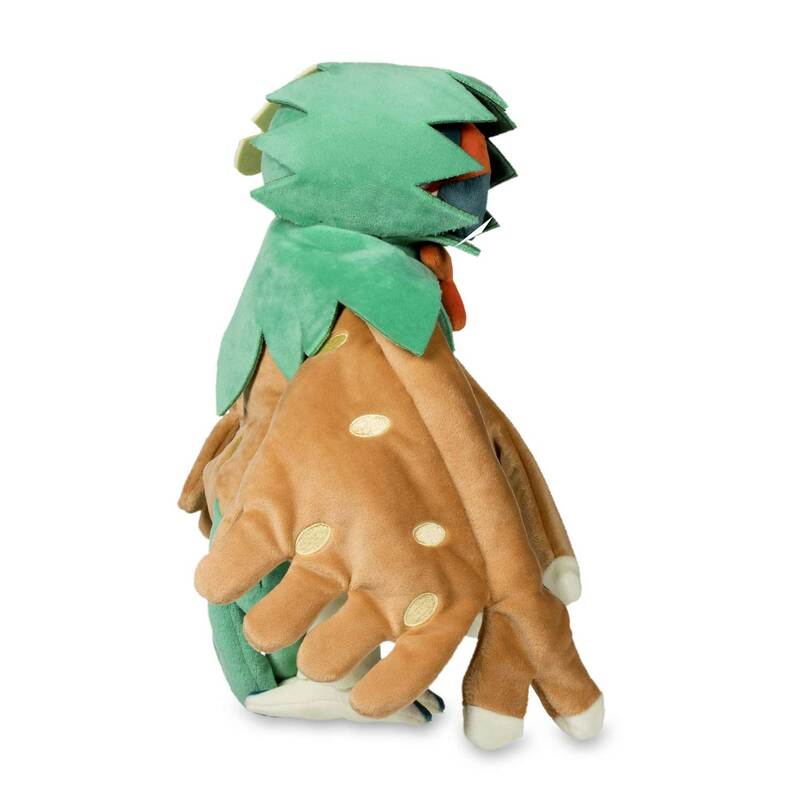 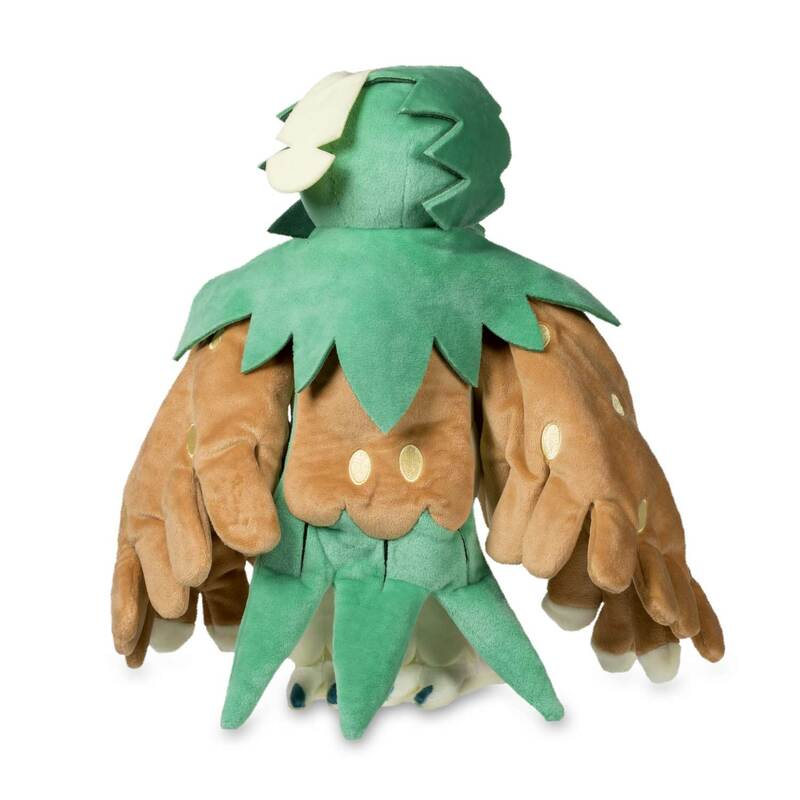 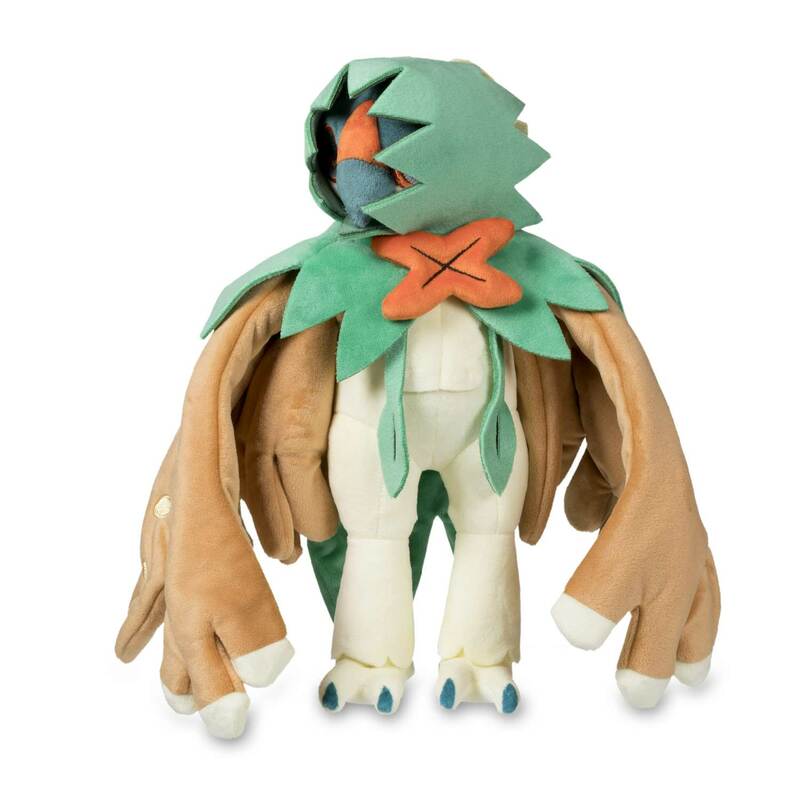 Decidueye Pokémon Plush (Large) - 12"
With posable feathery arms, a distinctive notched cowl and plenty of embroidered details, this Decidueye plush is amazingly impressive and stands fully 9 inches tall—with a 12 inch wingspan! 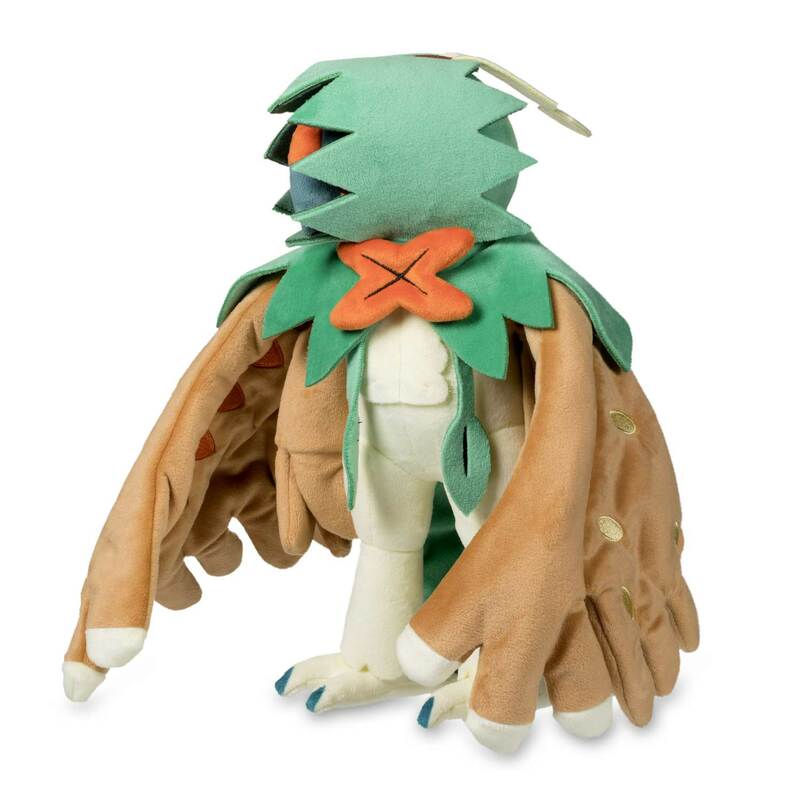 A mixture of plush types makes the body sleeker than the wings; the scalloped hood is deep and mysterious, and the whole plush is topped off with an orange bow tie-like ornament and an ivory colored plush feather on top. 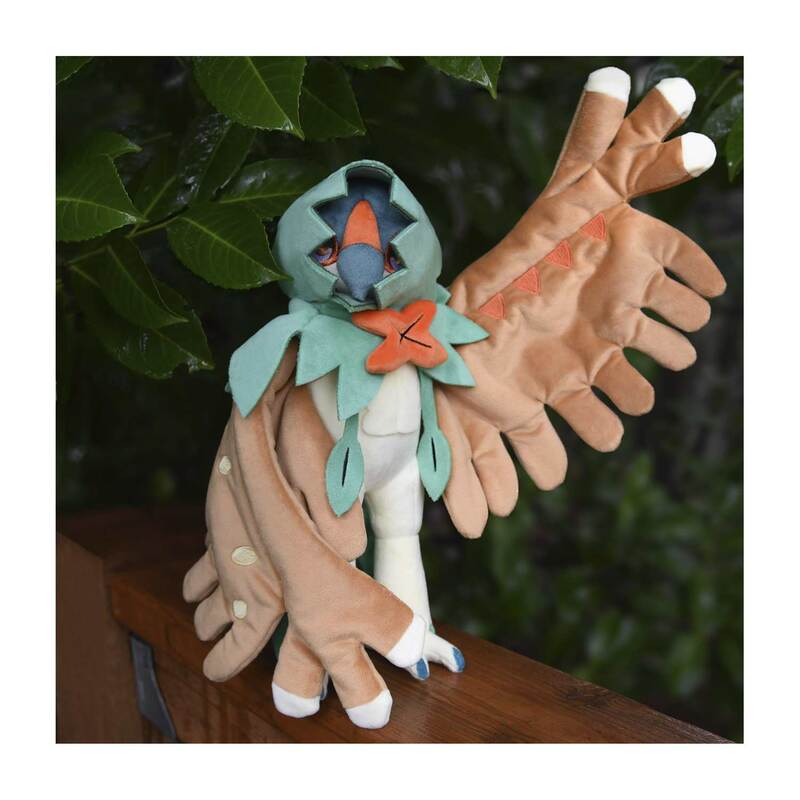 Set the wings any way you like, to stand, gesture, or take aim! 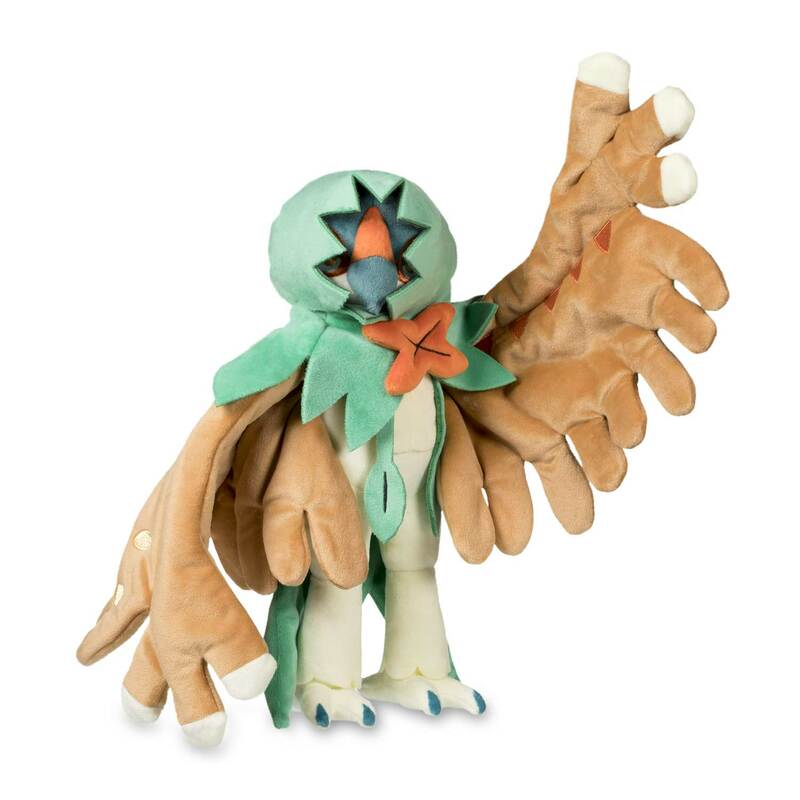 Posable arms to help position your Pokémon plush just so!